If you have Russian ancestry or simply love the language and history of this nation, you can incorporate a bit of Russian culture your wedding ceremony with the addition of special rings. From the stunning triple ring design many people call a "Russian wedding ring" to the classic gold bands favored by many Russian couples, you'll have a number of beautiful choices for your jewelry. Understanding a bit about how wedding rings fit in the traditional ceremony can help you decide on the perfect ring for you. According to the language and culture resource Master Russian, the wedding ring has an important role in any Russian marriage ceremony. Couples exchange rings, just as they do in Western cultures. However, the bride and groom wear the rings on their right ring fingers. There are no specific rules about the type of rings used in a Russian ceremony. Typically, these rings are plain gold or rose gold. Some believe that stones can symbolize barriers to the happiness of the couple. Russian couples sometimes personalize their rings with custom inscriptions. These short messages often appear on the inside of the band, offering a secret link between the bride and groom. There are several types of Russian rings that may work for your ceremony, and the Internet is a great place to shop for them. From triple roll rings to custom engraved designs, you'll find the perfect option for you and your partner. Many people associate triple roll rings or Trinity rings with Russian weddings. Although this style is commonly called a Russian wedding ring, there is no evidence to suggest this type of ring is popular with Russian couples or has any historical association with the country. Regardless of their name, these gorgeous designs feature three interlocking bands, often crafted in three colors of gold. 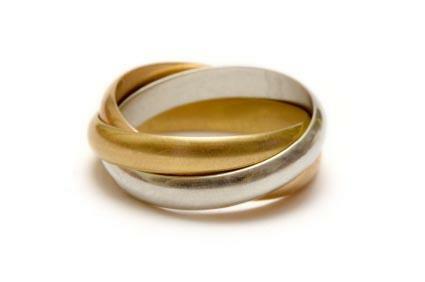 They can symbolize the Holy Trinity or the past, present, and future of a couple's union. Cartier - The famous Cartier Trinity Ring, also known as the Trinity de Cartier, is an iconic example of the triple roll ring. 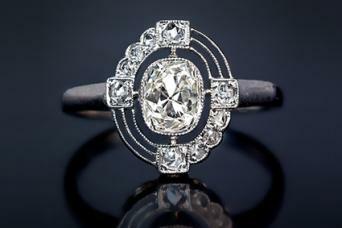 Designed in 1924, this classic ring is an excellent choice if you want to incorporate a triple band into your ceremony. Prices range from about $1,150 to over $40,000. RollingRing.com - For the best selection of triple roll rings, check out this retailer. You'll find Russian wedding bands in various widths and precious metals, as well as a number of options set with diamonds. Prices range from about $30 for a sterling silver design to about $2,000 for a triple band studded with diamonds. This retailer offers a free size exchange for every order, and you can return any ring within 15 days of purchase. Serendipity Diamonds - If you'd like a triple roll ring featuring three interlaced eternity bands, you'll find some stunning options at this retailer. The rings are crafted in your choice of metal, including 18k rose gold, white gold, yellow gold, or platinum. You can select from various carat weights of diamonds as well as pave or channel settings. A one-carat ring in three shades of 18k gold retails for about $3,000. This British retailer offers free resizing, free shipping to the United States and Canada, and free returns within 60 days. Gemvara - Gemvara offers many styles of plain gold rings, including the 2.6-mm Simplicity Princess ring for women. 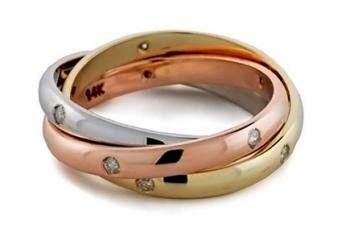 This 14k gold comfort fit band comes in sizes four through ten and retails for just under $400. There's also the five-mm Men's Classic Comfort Fit band, which comes in sizes six through 12 and retails for about $400 in 14k yellow gold. Gemvara offers free shipping and free returns for a period of 101 days. Ross Simons - Offering a variety of simple bands in gold, Ross Simons is another good shopping resource. Consider the classic 4mm 14k Yellow Gold Wedding Ring, which has a simple domed shape, comes in sizes five through nine, and retails for about $250. The matching 5mm 14k Yellow Gold Men's Band comes in sizes eight through 12 and retails for about $350. Ross Simons offers a 30-day return period. Sarraf.com - With plain wedding bands in 10k, 14k, and 18k gold and various widths and styles, this is a great source for finding the perfect classic ring. The delicate 18k Yellow Gold 2mm Domed Wedding Band comes in sizes three through 16 and retails for $150, while the much more substantial 18k Yellow Gold 8mm Band sells for about $500 and comes in the same sizes. Sarraf.com offers a 30-day guarantee and free shipping. In addition to the classic choices of the triple ring or plain gold band, you can show off some Russian cultural flair in a few other ways. Try one of these retailers, who offer some unique choices. Cascadia Design Studio - This shop offers custom-engraved titanium rings in a number of different languages, including Russian. You can have a special message engraved in Russian on the outer surface of the ring, and you can choose from several colors and styles of text. The rings come in sizes 3.5 through 15 and start at about $150. Cascadia Design Studio has a 14-day return policy. Romanov Russia - Offering dozens of amazing antique and vintage rings from Russia, this site is a treasure trove of authentic Russian jewelry. You won't find a lot of simple bands, but if you're looking for something unique, there are tons of options for men and women. 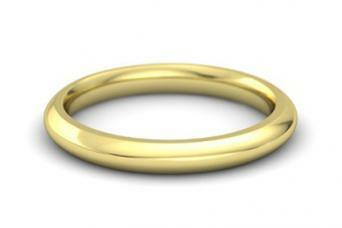 Some rings date back to the Medieval period, but most are from the Victorian era. This shop has a 10-day return policy and free shipping. No matter which style of Russian wedding ring you choose, it will add even more meaning to your wedding ceremony. Take your time perusing the many options. With a little research, you can choose a ring you'll be proud to wear for many decades to come.